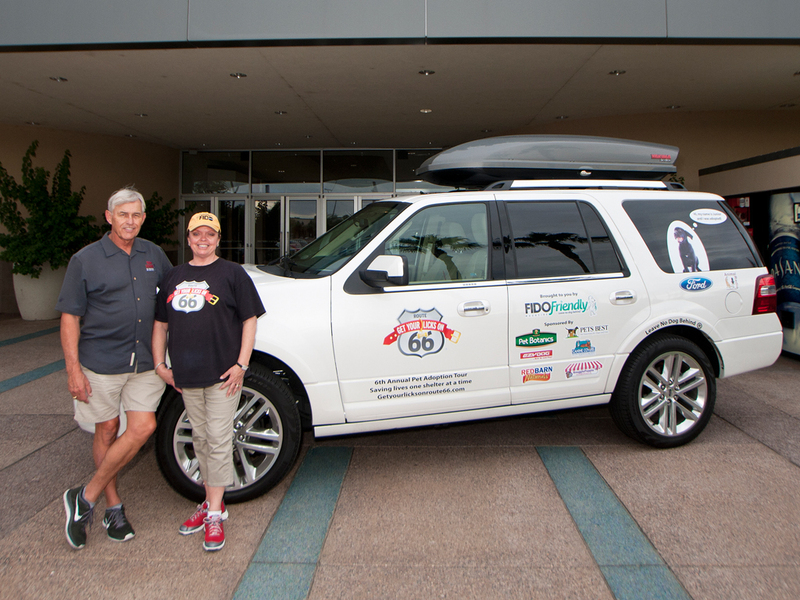 For the third year in a row, the 2015 Ford Expedition and Ford Escape are the official vehicles of FIDO Friendly magazineâ€™s pet adoption tour across Route 66. Barking up a storm is FIDO Friendlyâ€™s sixth annual pet adoption tour which kicked off Sept 12 in Los Angeles. Stopping in Chicago, the tour will end in Kansas City, Kansas on October 19. The Get Your Licks on Route 66 is making stops at 17 animal-shelter adoption events along the 2,400-mile stretch of Route 66, one of the first cross-country routes in the United States. Following the Mother Road, the tour will raise awareness for shelter animals in need of a home. In its first five years, Get Your Licks on Route 66 helped more than 2,000 pets find homes. The official spokesperson for this yearâ€™s tour is actress, best-selling author and animal lover Danica McKellar. 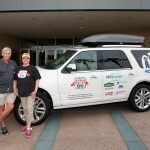 This yearâ€™s tour leaders Susan Sims and her husband Greg are making the trip in a 2015 Ford Expedition EL, the largest Ford-brand utility vehicle, which will be a home-away-from-home for them and their dogs Jake and Junior. The Sims and resident canines will be hauling a large spinning prize wheel and numerous items that have been donated by pet product companies to give away to help raise funds for the animal shelters at stops along the tour. Available later this year for sale, the 2015 Expedition will have a new look, a 3.5-liter EcoBoostÂ® V6 engine also available in Ford F-150, and a quiet cabin with more technology than previous-generation models. It will be the latest Ford nameplate to offer a high-end Platinum series. With Fordâ€™s new powerplant, customers benefit from 365 horsepower and a best-in-class 420 lb.-ft. of standard engine torque, best-in-class maximum towing in the extended-length utilities class with up to 9,200 pounds when properly equipped. The Expedition sport ute debuted in 1996 and has seating for up to eight. The 119-inch-wheelbase Expedition has three rows of seats and up to 108.3 cubic feet of cargo space. Overall, this standard-wheelbase Expedition is about 8 inches longer than Ford Explorer. Expedition EL â€“ with a 131-inch wheelbase â€“ has three rows of seats and best-in-class maximum cargo space. This long-wheelbase Expedition boasts 130.8 cubic feet of cargo space behind the front-row seats with the second and third-row seats folded flat. In its 14th year, FIDO Friendly, a travel and lifestyle magazine for dog owners features hotel and destination reviews, stories about animal adoption, health and wellness topics, and the latest trends for dog owners. To learn more about the tour and the cities where events are being held, visit www.fidofriendly.com or www.getyourlicksonroute66.com. The Cost to Dealerships When Women Walk Out! In the Wall Street Journal last month, it was reported there are now more women drivers on the road than men. The last several years the auto industry has witnessed a big and not so surprising shift in the car buyer demographics particularly in terms of gender. This leaves many dealerships shifting their paradigm in terms of how to re-strategize their business and marketing plan to truly optimize sales to women. And, itâ€™s leaving other dealers unsure as to exactly how to do that! Dealerships donâ€™t even know that they can increase their sales another $4 million dollars a year. How? Most walk 10-15 women out their door each month and donâ€™t even know it. By paying more attention to women and providing critical respect + trust the whole way through the sales engagement process; those browsers can be converted to buyers. Easily. Women buy or lease an average of 8 cars in their lifetime. At todayâ€™s average price of $32,500 that money adds up quickly. Plus service drive visits over the long haul; that is a huge chunk of gross profit and sales, too. Lose the loyalty that this woman and family + friends bring. Not to mention, her many referrals. Huge miss! Women are influential. This can work in your favor or against you. So, whether she is just looking around and browsing, you need to offer the ultimate shopping experience so that she walks out your door feeling content. If that happens, sheâ€™ll spread the word and – return to buy. If it doesnâ€™t, she will walk and talk. Itâ€™s a pretty simple formula. Which side of the $4 million will your dealership be on? In todayâ€™s hyper-competitive market, its time to pay much closer attention. September 19-21, 2014:Â Get ready to contain yourself: the 4-Wheel Jamboree Nationals is back in Indy this weekend at the Indiana State Fairgrounds, from Friday, September 19 through Sunday, September 21, with all of the monster-truck mayhem, drag racing, burnouts and car shows you can handle! Thatâ€™s right: September is Truck Month and the 4-Wheel Jamboree is back in Indianapolis for the 33rd straight year. As one of the Jamboreeâ€™s sponsors, Hubler Automotive Group will have a large selection of customized and lifted trucks on display, along with performance and family vehicles. Start the weekend early at Hubler Chevrolet on September 18th from 5-8pm for the Jamboree Kick-Off Bash, where Hank FM will be broadcasting live and giving away prizes. A monster truck will be on display for pictures along with free tickets (while supplies last) and refreshments. Anyone who attends will receive a discounted ticket voucher for the all-weekend truck event. So, What Is the 4-Wheel Jamboree? Impressions on our first ride in the all-new Toyota Highlander Hybrid are mostly favorable. But that brakingâ€¦.we couldnâ€™t get used to the jerky braking, which hasnâ€™t been our experience when driving other hybrid vehicles. While we are not a big fan of hybrid vehicles, we have to admit, the last two weeks in nothing but hybrid vehicles has been eye-opening. And while we may not quite be won over, thoughts are more positive than in years past. Our dislikes, up front: The braking system; grabby and unpredictable, but we are confident if other drivers have this experience, Toyota will jump on it. 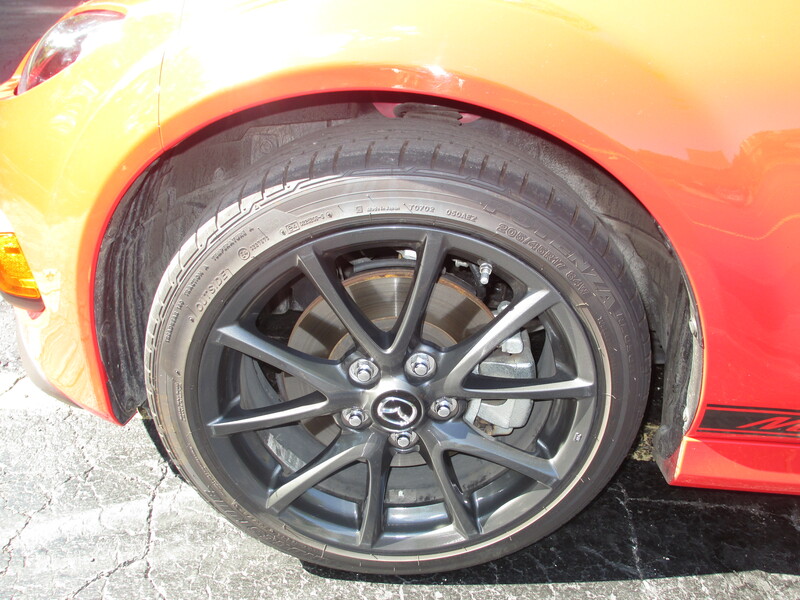 We allow that braking in a hybrid is different, but the jerkiness of the Highlanderâ€™s braking was unsettling. Â Second: The controls for the audio and climate are in a bad position, but then this is the complaint of someone who isnâ€™t comfortable using the steering wheel controls. In fact, most often we hate them because they are set into motion unintentionally. The heat/cooling controls on the all-new Highlander Hybrid arenâ€™t in the best spot either, and easily set into motion when not needed. The likes in the 2014 Highlander Hybrid include second row seating room, interior styling/material and quality, and phone and media storage. It is difficult to find fault with a Toyota/Lexus product and the new Highlander is no exception. It probably isnâ€™t fair for a non-Hybrid fan to comment. Although there isnâ€™t anything to dislike really, about the new Highlander, we did manage to find a few minor annoyances. Better connectivity features are also an improvement in the new Highlander. Competition for the Toyota Highlander Hybrid includes the Ford Explorer, Honda CRV and Jeep Grand Cherokee. A whole different customer, wouldnâ€™t you agree? The Highlanderâ€™s bold new styling is a step forward for Toyota and a good one; with all the competition, it helps. Although, those into the Toyota brand and predictable dependability, would probably not choose anything but a Toyota vehicle. The new Highlander is a good size vehicle, large by any imagination. And it offers plenty of power. Space is ample so those wishing to haul any matter of gear will be pleased. Our Highlander Hybrid came equipped with plenty of goodies, including seating for seven, 8-way power memory driver seat w/lumbar, 4-way power passenger seat, 2nd row Captainâ€™s row seating, 3rd row 60/40 split fold-flat seats, side-window sunshades, backup camera, rear package sonar. Toyotaâ€™s Entune premium JBL 8-inch screen display, Entune JBL w/8-inch touchscreen, navigation, FM/AM/CD/MP3/USB/Aux/HD and XM radio/Bluetooth phone/music/App Suite/Homelink/4.2 color screen is top notch. Added to the interior is a woodgrain trim, leather steering wheel w/audio, phone , voice controls, roll-top console, and automatic A/C. Warranty: 24 mths./25,000-miles Roadside Assistance; 60 mths./60,000-miles powertrain; 36 mths./36,000-miles basic; 24 mths./25,000-miles maintenance; 60-mths./unlimited miles corrosion perforation. 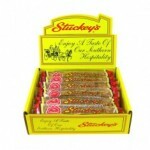 Who Remembers the Iconic Stuckeys? Nostalgia is strong in America today, in 2014. You may have noticed that several brands are using nostalgia in their marketing campaigns. In addition, television ratings for shows that feature reunions of past shows are soaring. And comic books that were created during the Great Depression are still popular today, earning a new generation of fans. Why is nostalgia so big in America? Why is, what was old, new again? Perhaps it has something to do with us Baby Boomers. As we creep closer to â€˜older adultâ€™ status, we yearn for what was; a simpler time and place. According to Guy Gilchrist, the author of the comic strip Nancy, and Jim Hensonâ€™s The Muppets comic, Americans like seeing things that are familiar to them when they were growing up. As a major road-tripper, I eat up nostalgia and have made several road trips in the U.S. on historic roads; namely, Route 66 and Route 50. These have been some of the best times of my life. As a writer and car lover, road trips are my very favorite pastime. For some, the long hours spent behind the wheel of a car, trying to focus on the lines in front of you, are not their idea of fun. We beg to differ. For this writer, it’s pure delight…and therapy. What could be greater than discovering all there is to see in and across America. The quest is endless, enlightening and always informative. Besides, we often meet some of the most interesting people; so many with stories to tell. When traveling recently to Tulsa, Oklahoma (and back in 2 days! ), we stopped at one of the few remaining Stuckeyâ€™s restaurant/service stations in Missouri. My main purpose for stopping was to get a picture of the Stuckeyâ€™s facility, and also to purchase one of their famous Pecan Log Rolls for a friend; also a Stuckeys fan. In 2011, while making the loop between Chicago and Indianapolis, I stopped at a Stuckeyâ€™s off interstate 65 and purchased a Stuckeyâ€™s t-shirt. One of my prized possessions! Since the 1930â€²s, generations of Americans have known and loved Stuckeyâ€™s roadside tradition. A roadside convenience store, the Stuckeyâ€™s chain can be found on highways throughout the U.S., with a concentration in theÂ Southeast, Southwest and Midwest. Over the years, operations have also popped up in Connecticut and Oregon, with stores located throughout the continental United States. Headquartered in Silver Spring, Maryland, Stuckeyâ€™s originated in Eastman, Georgia by W.S. Stuckey, Sr. Stuckey had a successful pecan harvest from his familyâ€™s orchard and decided to offer a portion of the crop for sale. He set himself up in a lean-to roadside shed, pulling in many Florida-bound tourists traveling U.S. Route 23 who stopped to buy the pecans. Travelers began to visit Stuckey’s, on a regular basis. When W.S. 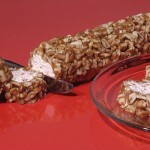 Stuckey, Sr. opened his Georgia pecan stand in 1937, his recipe for success consisted of melt-in-your-mouth treats (think Pecan Log Roll), unusual gifts (Mexican jumping beans) and souvenirs, and the simple belief that nothing was more important than making â€” and keeping â€” the friendship of American travelers generation after generation. As the roadside business continued to expand, Stuckey’s wife, Ethel, created a variety of homemade pecan candies to sell at the stand, including pecan log rolls and pecan divinity. The first Stuckeyâ€™s store was built in 1937,Â and focused on selling these Southern candies to highway travelers. The shop added a restaurant, then a novelty section, and then gas pumps. The final addition was a teal blue roof-later to become the company’s trademark. Stuckey’s stores declined during WWII, but as the post-war baby boom flourished and families undertook more long-distance auto travel, Stuckey’s continued to expand as they were most often built along major highways. Frequently sharing space with Texaco gas stations, Stuckeyâ€™s offered not only food andÂ unusual items for sale, but clean restrooms. In 1960, W. S. Stuckey attempted to create a hotel chain called Stuckey’s Carriage Inn, but opened only four locations. In 1967, Stuckey’s merged with Pet, Inc., maker of Pet Milk. 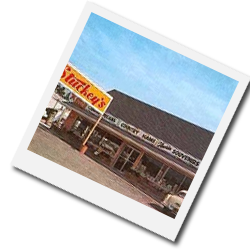 At its peak, Stuckeys had over 350 locations, reduced to fewer than 75 by the late 1970s. At that time, they were under the ownership of Pet. Repurchased by former Congressman W.S. 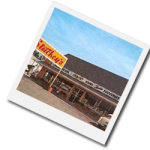 Stuckey, Jr., in 1985, there are currently over 200 franchise stores in 19 states. In those long ago days of Burma-Shave signs and the static of rock and roll on the AM radio, it seemed that the high pitched roofs of Stuckeyâ€™s where simply everywhere. A privately held company, Stuckeyâ€™s Corporationâ€™s stores are today independently owned and operated by a franchise of Stuckeyâ€™s Corp. The things that go into making an American tradition include a little magic and, of course, a lot of hard work. Why does a classic become a classic? No surprise it has a lot to do with family traditions, much like a McDonalds restaurant. When families travel in America, they often stop at familiar, known-to-be-good restaurants, motels, service stations. Based somewhat on the fact that they know they will get the same good, dependable service. Stuckey’s led the way for those to come. Our test Club edition Miata came equipped with a good deal of standard equipment, but no options, which today is unusual. We drove the Miata Grand Touring edition and the Club back/back and could definitely feel a difference; the former a much more comfortable sportster. The Club, of course, a sportier edition, has a harder ride with more road noise. We experience some trouble with the retractable hardtop, meaning when putting it back up, it didnâ€™t seem to click into place, for some reason. So when in gear, the buzzer sounded all the while. We werenâ€™t able to figure out why this occurred as the top seemed to lower and raise correctly. Standard equipment on the Club includes the usual safety features: ABS, tire pressure monitoring system, electronic power assisted rack/pinion steering, Dynamic Stability control/traction control, advanced dual front/side airbags, limited slip differential, remote keyless entry and anti-theft engine immobilizer. The standard features included power door locks/windows, driver seat height adjuster, mesh aero board for the wind drag, dual power remote mirrors, cruise and audio controls on the leather-wrapped steering wheel, halogen headlamps, center console, dual exhaust outlets. The MX-5 is rear-wheel drive vehicle (as all performance sports cars should be!!) and handles well on dry surfaces. It becomes somewhat skittish when navigating wet pavement, but one still feels he/she can maintain control. We found our Club version somewhat noisy, through windows/top mesh. Its ride is harsh, not as â€˜refinedâ€™ as the Grand Touring version. Our test car also had a few clunks, rattles we didnâ€™t investigate but certainly were aware of. One cannot help but love the Miata, MX-5 sportster. As of July 2014, total production volume of the Mazda MX-5 exceeded 940,000 units and it continues to hold the Guinness World Record for the best-selling two-seater sports car. This highly celebrated model has received over 200 awards from around the globe including Japan Car of the Year 2005-2006. They also maintain the largest fan club of any, including Mustang and Corvette. “Innovate in order to preserve” was the motto for the fourth generation. Environmental and safety demands are much more stringent for 2015, and certainly much improved since the MX-5 was introduced 25 years ago. The fourth generation stays true to the model’s original aim of offering the pure driving fun that only a lightweight sports car can. 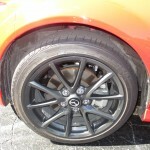 It achieves this through Mazdaâ€™s SKYACTIV technology. Competition for the MX-5 Miata includes the Subaru BRZ and Scion FR-S. 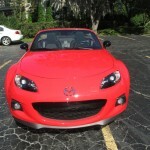 In this writerâ€™s view, there are not that many similarities; the Miata a much more agile and fun car to drive. 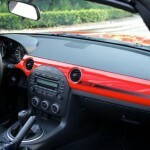 Our test MX-5 Club version came equipped with the black retractable hardtop. 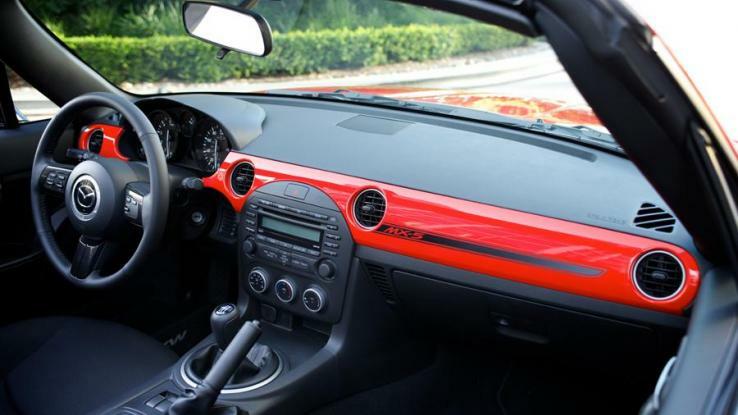 Upon reflection, if opting to purchase a Miata, we would opt for the manual cloth top; a very simple top to take down-can actually be done while sitting in the driverâ€™s seat! Not really a â€˜performanceâ€™ car, per se, the Miata can feel a little underpowered at 167 horsepower. However, with six gears, one is able to get it up to speed, for instance, when navigating the highway or open road. Believe, itâ€™s adequate for this size car. One other thing that was noticed is that the shifting the manual transmission in the Club seemed easier than when driving the Grand Touring edition. Attempting to shift the G.T. Miata into reverse was always a frustrating exercise. 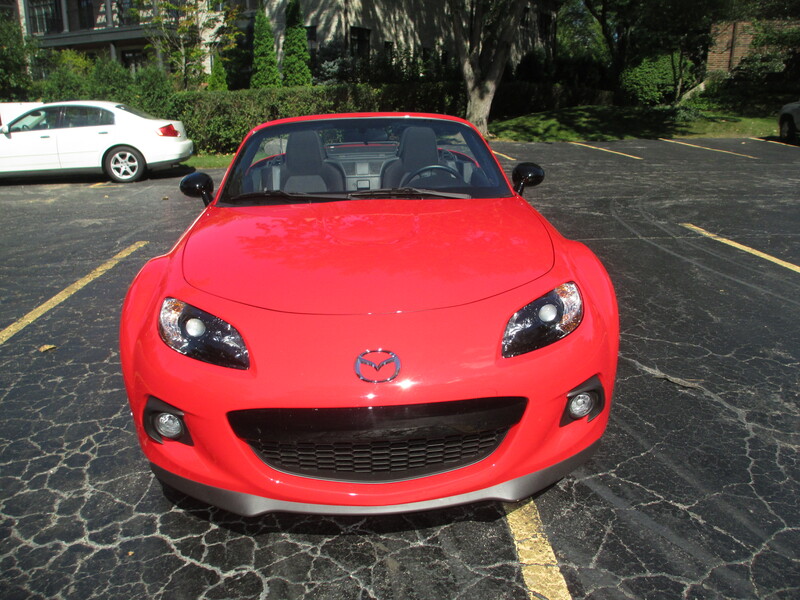 And finally, if youâ€™re not smiling when driving the Miata, you need to practice having more fun! And we challenge you to find a car that is more fun or feels more agile when driving on those twisty roads. EPA fuel economy: 24/28 mpg. Warranty: 3-yr./36,000-mile bumper-to-bumper limited; 5 yr./60,000-mile Limited Powertrain; 3 yr./36,000-mile 24/7 roadside assistance.